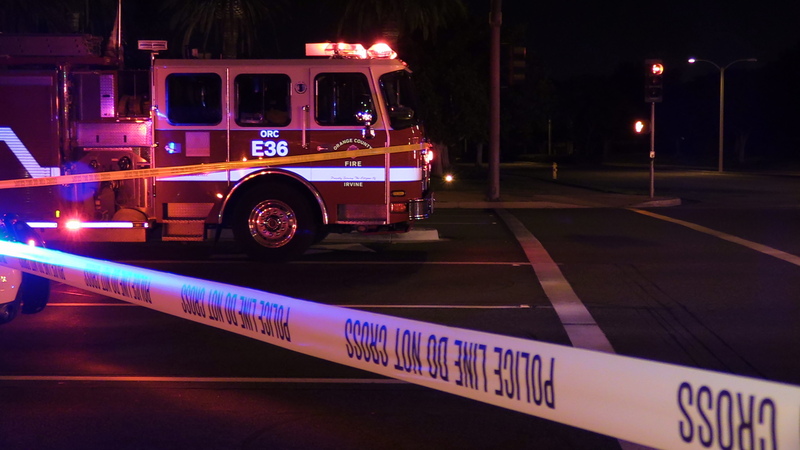 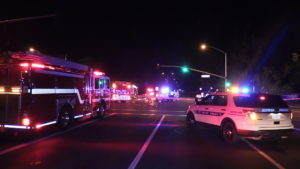 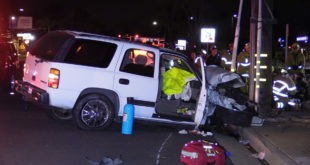 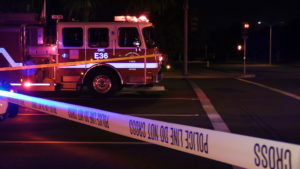 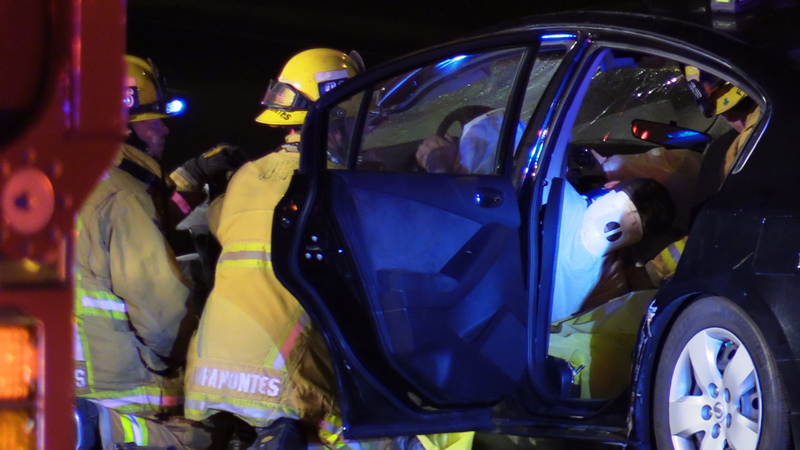 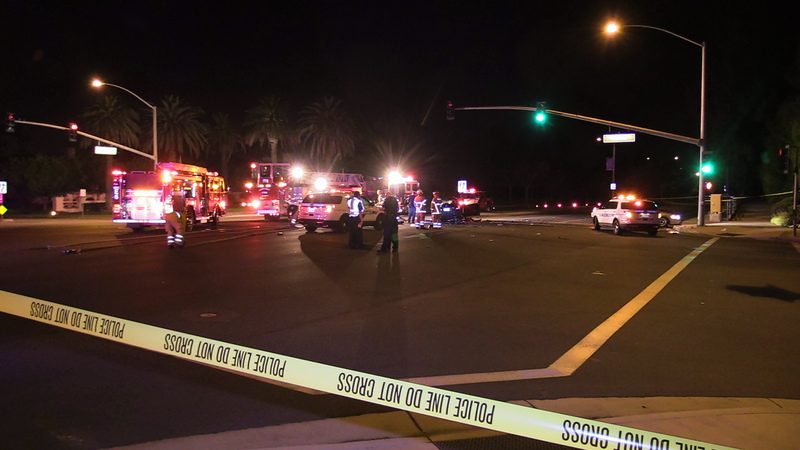 According to the Orange County Fire Authority, 3 people were injured in a 2 car collision shortly before 3 a.m. at the intersection of Culver Drive and Warner Avenue in Irvine. 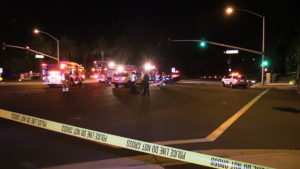 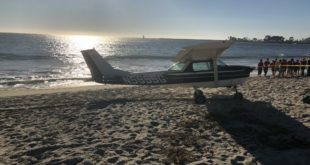 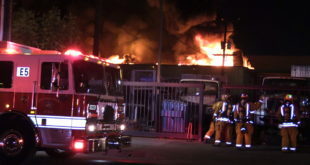 The driver of one car, which had a small fire in the engine compartment that Irvine Police Officers put out with fire extinguishers, was trapped for nearly 30 minutes. 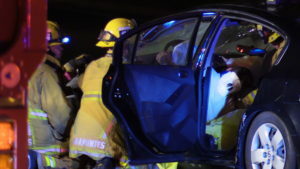 Firefighters used the jaws of life and other tools to free the man from the wreckage. 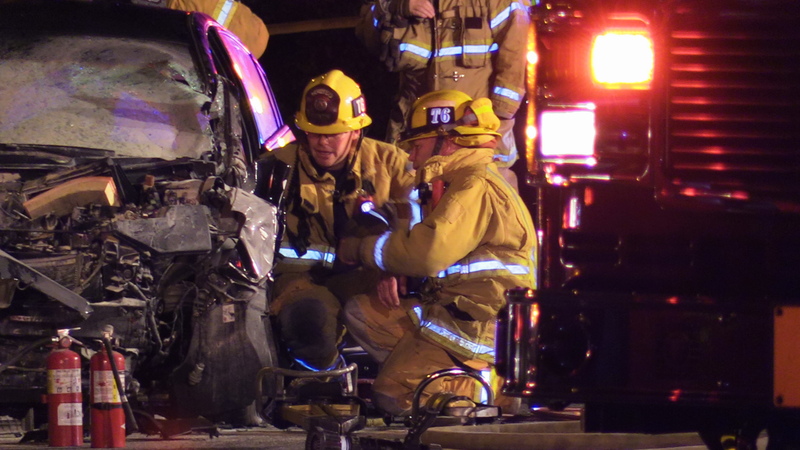 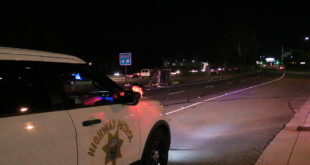 He was transported by ambulance to UCI Medical Center in Orange with serious injuries. 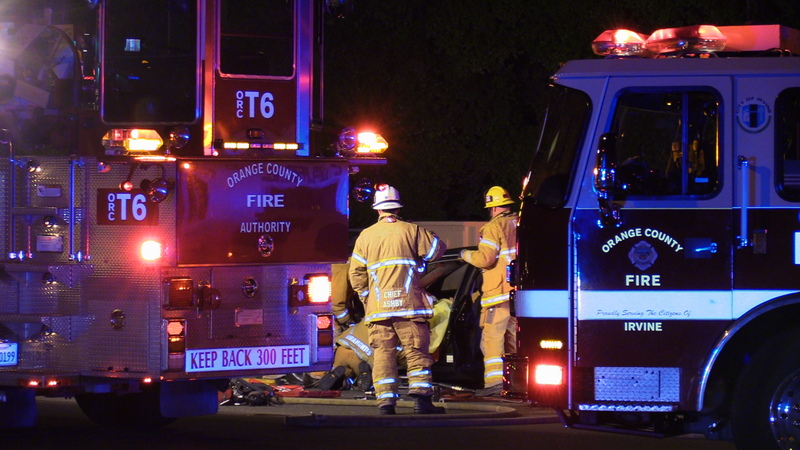 A man and woman in the second car were also injured and taken to OC Global Hospital in Santa Ana. Irvine Police are investigating the cause of the accident.